Latest educational news reaching the Dailyschoolnews Nigeria™ desk today, is that the University of Port Harcourt, Uniport school of Basic studies admission list for the 2017/18 academic session has been released. All candidates who are expecting this admission list, should take note. According to the management board of the University of Port Harcourt, which disclosed that the much awaited and anticipated 2017/2018 PROVISIONAL ADMISSION LIST INTO THE SCHOOL OF BASIC STUDIES is out. 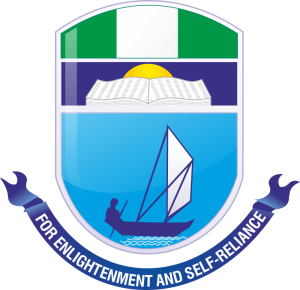 To ensure you are fully informed, I would love to point out, that the following admission lists for Uniport has been released for the 2017/18 academic session. All concerned candidates should take note, that the following persons whose names appeared on this list below, have been offered provisional admission into the Uniport school of basic studies for the 2017/18 academic year. It is important to note here, that all those whose name appeared on this list, are advised and required to PRINT their admission letter and Fee payment slip. For the Fee payment, you are to visit any Bank of your choice located within the Campus and pay the fee of N83,000 only. (Take note that this fee covers everything). After you have made a successful payment, you are directed to report to the school with your Payment Slip and Physical clearance. All candidates should take note that Lectures starts on Monday, 11/12/2017. Orientation will take Place at 12NOON, on the 11th of December 2017. A big congratulation to all candidates who made this list. When it loads up, Proceed and search for your name, better still, you can use your APPL. Number to check if you have been offered admission. Once again, congrats to all those admitted. Wishing you the best.